On October 28, the Ministry of Foreign Affairs of Ukraine in Kyiv hosted a meeting of the public platform on the liberation of political prisoners, according to the official page of the Ministry of Foreign Affairs of Ukraine on Facebook. The meeting with Crimean activists and relatives of political prisoners was held through videoconference. "Today we all came together here, in Kyiv, and in the temporarily occupied Crimea, and I am especially pleased to have with us the Deputy Chairmen of the Mejlis, Akhtem Chiygoz and Ilmi Umerov, for whom Russian torture is already over," Ukrainian Foreign Minister Pavlo Klimkin said. The meeting was attended by the Commissioner of the President of Ukraine for the Affairs of Crimean Tatars Mustafa Dzhemilev, the Head of the Mejlis of the Crimean Tatar people Refat Chubarov, special representatives of the Ukraine's Foreign Affairs Minister on release of political prisoners Yuri Yatsenko and Gennady Afanasyev, as well as representatives of the CrimeaSOS organization. During the meeting, the participants discussed the steps to liberate Ukrainian political prisoners and the assistance to their families in the occupied Crimea. 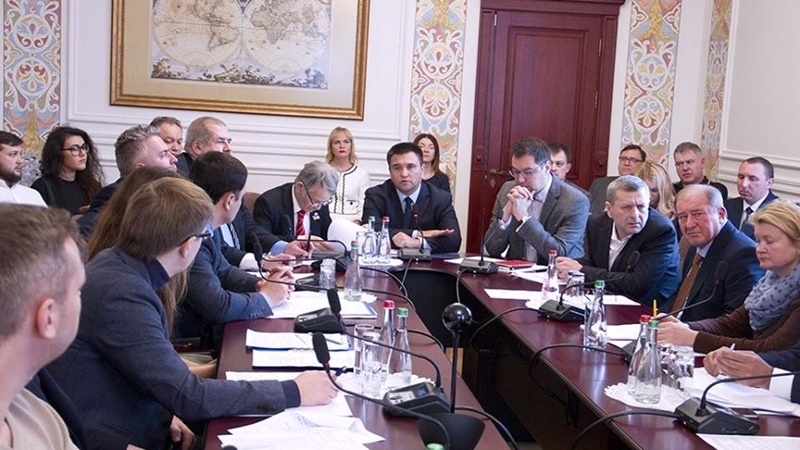 Earlier QHA reported that Ukrainian Minister of Foreign Affairs Pavlo Klimkin stated that 38 political prisoners from Ukraine are held in Russian prisons on political motives. He noted that Russia can no longer bear the pressure of the international community over its detention of political prisoners.